The Forest Service has released for public comment the Environmental Assessment (EA) for the Commercial Harvest in the Beaver Creek Watershed timber project near Cave Run Lake.​ The proposal includes 303 acres of commercial timber sales in the Daniel Boone National Forest in Menifee and Bath Counties. The comment period for this project ended August 18, 2016. 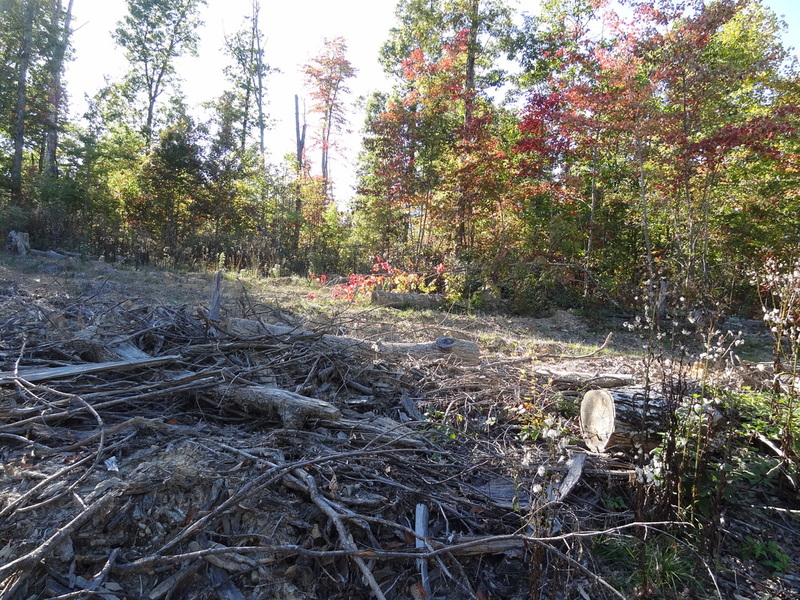 The Proposed Action includes 133 acres of commercial thinning, removing about 50% of the trees, and another 170 acres of shelterwood regeneration harvests where approximately 80% of the trees will be cut and sold. The proposal also includes the construction of 0.9 miles of new system road for the sole purpose of accessing timber, with another 1 mile of so-called “temporary roads” to be bulldozed into the forest. 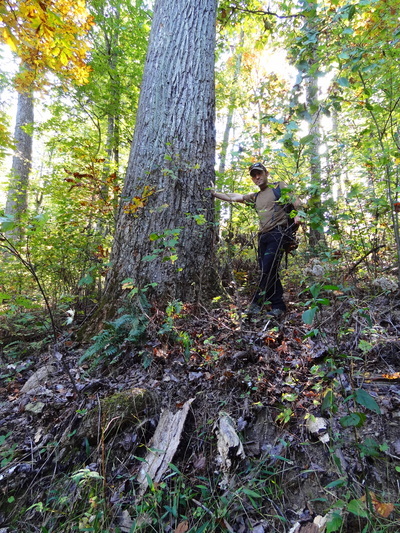 Many forest areas adjacent to proposed harvest sites were logged in the early 1990’s, with formerly oak-hickory and oak-pine stands converted to a mess of stump-sprouted red maples and grapevine. 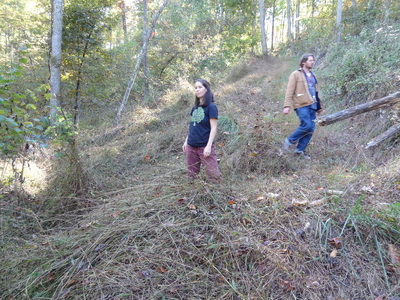 No management is proposed to clean up these previously harvested sites. 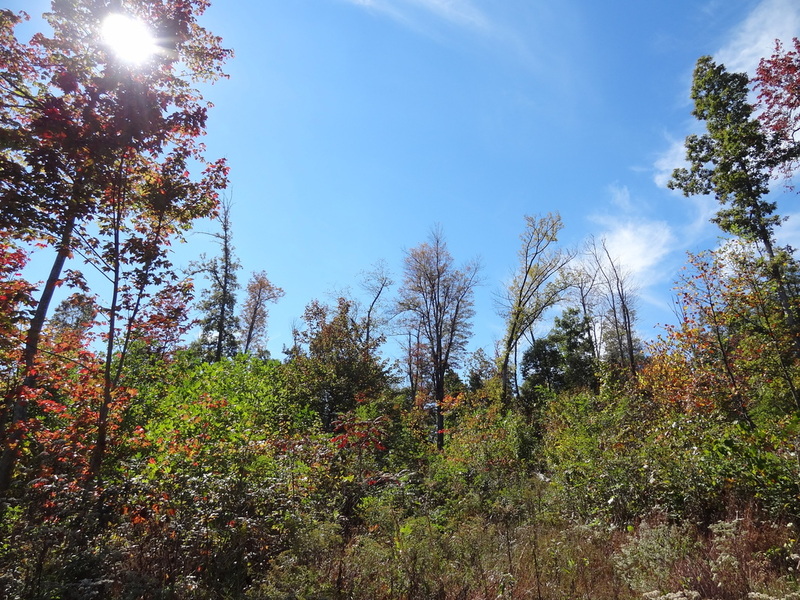 Since 1980, the Forest Service has logged about 25,000 acres, or a full one-quarter of the national forest lands that make up the northern end of the Daniel Boone National Forest from Cave Run Lake to the forests just north of Morehead. Shelterwood harvest from 1995 surrounded by newly proposed harvests. In order to address concerns about road construction, the Forest Service also developed a “Minimal road work” alternative, Alternative B. This alternative would implement the project in the same manner as the Modified Proposed Action, but without the construction of new system roads or temporary roads, and with smaller log landings. While Kentucky Heartwood maintains that the best course of action is to leave the trees standing, we find Alternative B to be highly preferable and less impactful than the Proposed Action or Modified Proposed Action. New system roads are costly, and both new roads and temporary road construction will create lasting impacts on the ground. We argued strongly against these roads in our previous comments to the Forest Service for this project. The Forest Service is responsible for maintaining over 1,300 miles of the nearly 2,000 miles of roads crossing the Daniel Boone. But the agency does not have adequate funds to do so. The Forest Service nationally has a road maintenance backlog in the billions of dollars, maintaining only about 20% of system roads to standard. National forests are under a directive to bring road maintenance costs closer to actual funding levels through the elimination of unneeded roads. The Forest Service responded to our road concerns in the EA by stating “This issue is conjectural as the new road construction should not add to maintenance costs.” However, they admit later in the EA that “The majority of (national forest system roads) in the watershed are not being maintained to their designated standards.” If the Daniel Boone National Forest cannot maintain existing roads to their designated standard, then they should not be building new roads for the sole purpose of selling timber. The Forest Service plans to bulldoze a road through here to harvest the hillside. 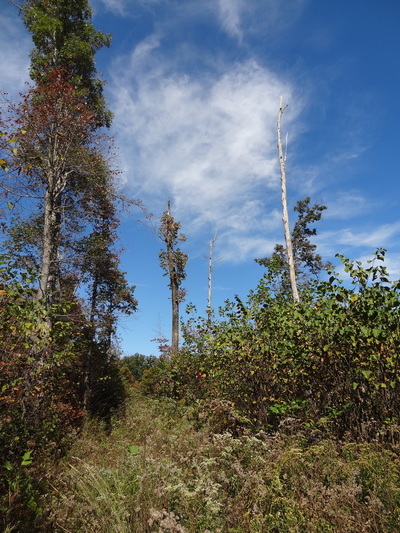 While the Forest Service has taken a positive step to include efforts to remove invasive species in harvest areas, it may not be enough to stop the proliferation of these plants in some of the stands proposed for logging. 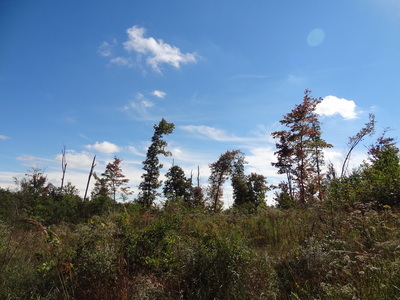 One area in particular, including stands 1095-26 and 1095-30, has substantial infestations of multiple aggressive species along it’s edges and throughout a powerline right-of-way cutting through the forest. Logging creates ideal conditions for many of these species to establish and flourish in the forest interior. The close proximity of these infestations to harvest areas makes it likely that invasive species will become a problem even with treatment. Infestations in recent harvest areas have been documented elsewhere on the Cumberland District (see photo gallery below). 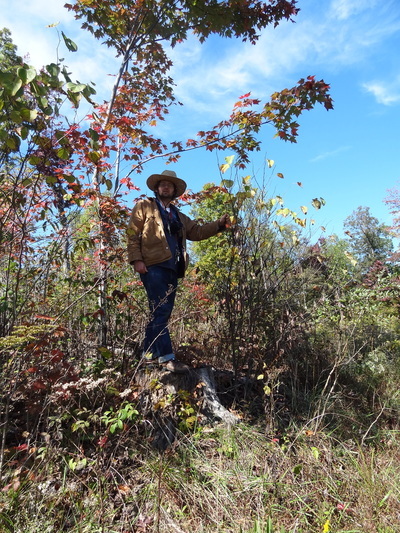 Nearby and adjacent stands harvested in the early 1990’s resulted in the Forest Service converting healthy oak-hickory and oak-pine stands into forests dominated by multi-stemmed, stump-sprouted red maple, tulip poplar, and grapevine. These conditions are common on the roughly 100,000 acres of the Daniel Boone logged in the 1980’s and 1990’s. The Forest Service is proposing mitigate this problem by coming in 10 years after the commercial harvests to thin out red maples using a fell-and-leave approach, allowing more growing space for oaks, hickories, and pines to succeed. This is far better than harvesting with no follow-up treatment, and avoids using herbicides in the forest. Again, leaving the forest standing is the best option. 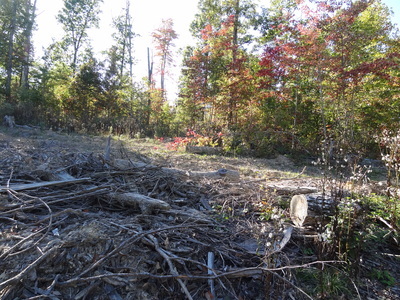 But if the Forest Service is going to log these areas there must be a strong commitment with actual follow-through to limit long-term degradation of the forest and its species composition. In response to public comments stating that commercial timber harvest is not an appropriate use of national forest lands, the Forest Service responded that such concerns are “Not a relevant issue,” because current laws and regulations allow logging in national forests. While the Forest Service is correct that they are allowed to sell off the timber from our public forests, we strongly disagree that this is “not a relevant issue.” Most Americans do not want to see logging on their public national forests. 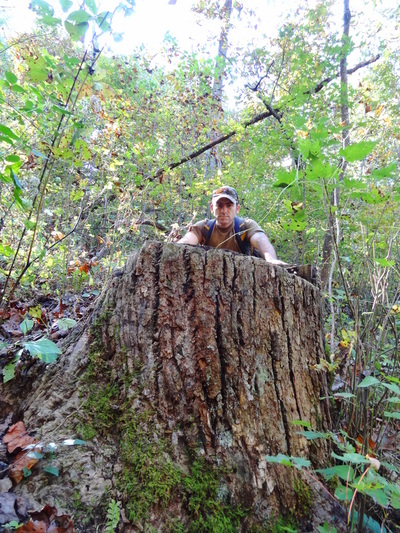 When proposing a timber sale, the Forest Service must genuinely consider not only how they should log an area, but if they should log an area. 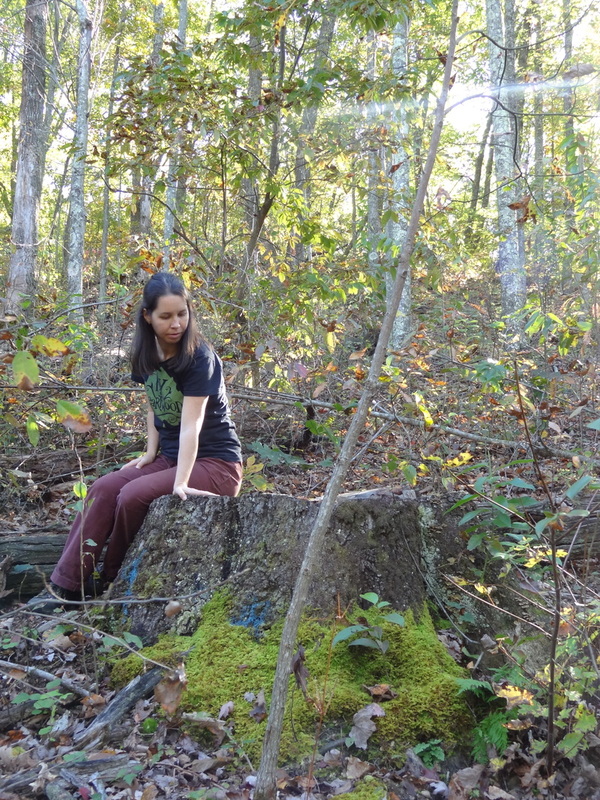 The public’s views on the appropriateness of logging are important. Below are Kentucky Heartwood's February 2016 comments submitted in response to the scoping document. Once completed and submitted we will upload our comments on the EA here as well. This is your national forest, and your comments matter. Specific comments are always best. 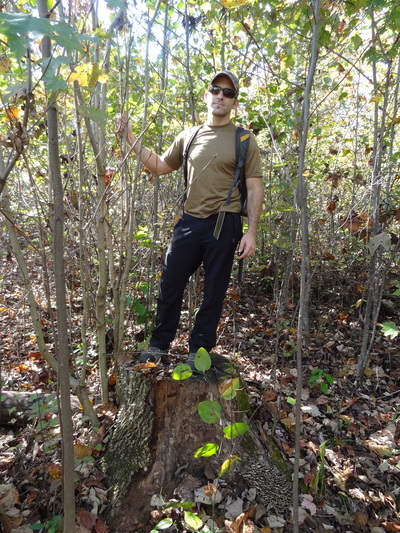 For example, if you don’t like logging, consider describing how logging affects your experience in the woods. Written comments can be submitted until August 18, 2016. 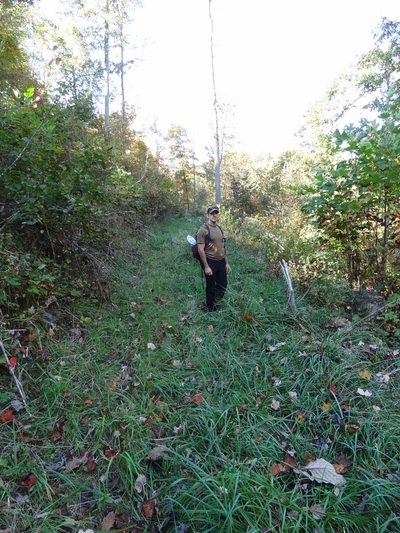 Be sure to include “Commercial Harvest in the Beaver Creek Watershed” in the subject line if sending by email, or on the envelope if commenting via postal mail. The Forest Service plans to cut nearly every tree in the forest in this picture. The following pictures are from the several thousand acres of logging from the nearby Ice Storm Recovery Project in the Cumberland District. Kentucky Heartwood challenged the project up to the Sixth Circuit Court of Appeals. The images show large and old-growth trees harvested or damaged by logging operations, "temporary" logging roads bulldozed into hillsides and carpeted in invasive species, log landings, and heavily disturbed forest canopies and soils.